We are now collecting feedback for Phase IV for the redesign of Queens Blvd! 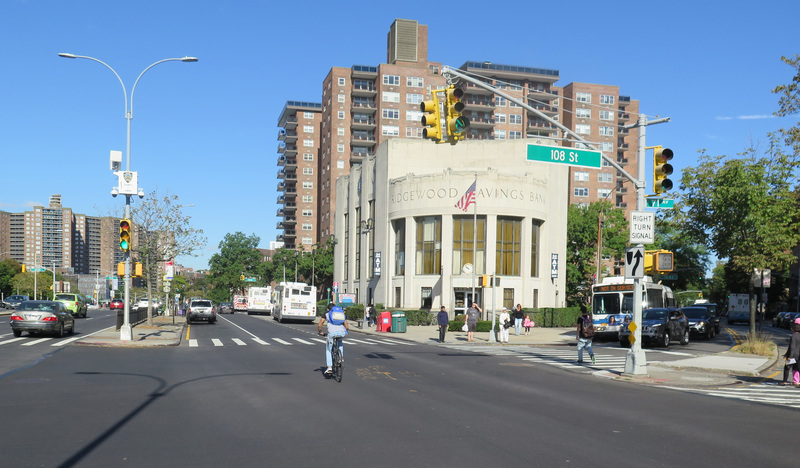 We have collecting feedback for the next phase of the redesign of Queens Boulevard. Phase III re-design of Queens Blvd is being implemented! The week of January 22, the NYC DOT Street Ambassadors will be in the Rego Park area to talk to residents about how they use of Queens Blvd. This is part of our commitment to engaging the local community to help inform our design for a future, safer, Queens Blvd. Thanks to the 120 community members and residents who came to P.S. 139 last Thursday, January 12th to share your ideas for a safer Queens Boulevard in Rego Park! If you were unable to attend, please leave us your comments on the feedback map here. 2017 Community Workshop in Rego Park - Join us! NYCDOT will hold a Safety Workshop on January 12, 2017 from 6-8pm at P.S. 139 Rego Park, 93-06 63rd Dr. Join community members to identify street safety concerns and brainstorm design solutions to enhance safety along Queens Boulevard. New York City Department of Transportation construction crews have been hard at work this summer and fall bringing safety improvements to Queens Boulevard in Elmhurst and Rego Park. Construction is expected to wrap up later this fall. In late July 2016, DOT started construction on the second operational phase of Queens Blvd between 74th St and Eliot Ave.
On Tuesday, March 1, 2016, DOT presented its proposal for the second operational phase of Queens Boulevard to the Transportation Committee for Queens Community Board 4. In the last two months of 2015, DOT's Street Ambassadors have interacted with over 3,000 community members along Queens Boulevard between 74th Street and Eliot Ave.